The Altar Guild cares for the altar, vestments, and altar linens of the Cathedral. Altar Guild members prepare the sanctuary for services and clean up afterwards. For more information, please contact the Sacristan, Alice Van Buren via the Cathedral office. 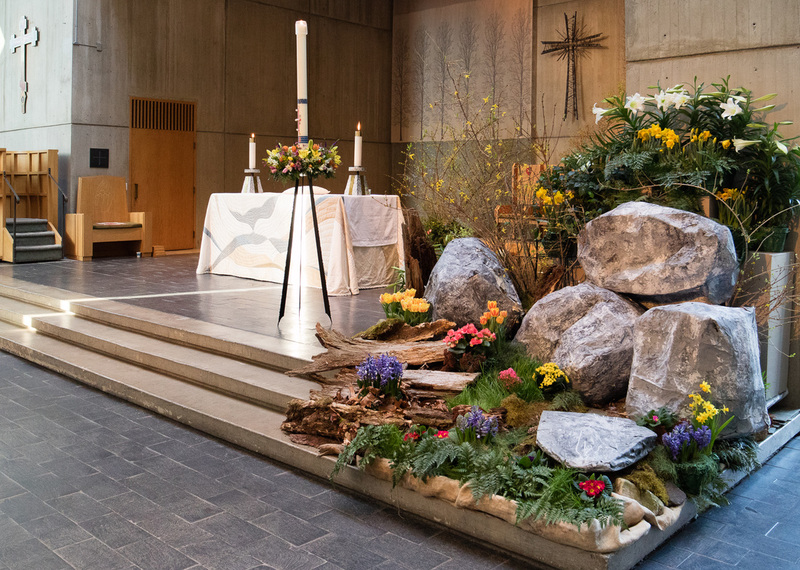 The Flower Guild creates the flower arrangements for the Cathedral each week, as well as for special occasions, such as Holy Week, Baptisms, Burial services and Holy Matrimony. For more information, please contact Maureen Rees via the Cathedral office.